Gouramis usually swim in group. 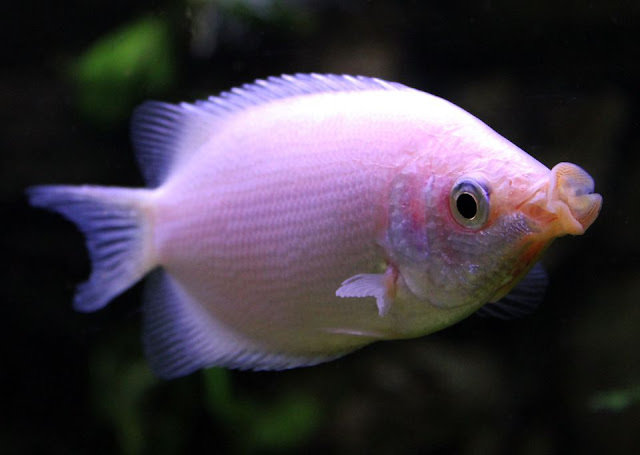 Another beautiful aquarium fish known as gouramis consist many types of colourful fishes. There are huge number of fishes in this family from smaller size fish to a bigger one. 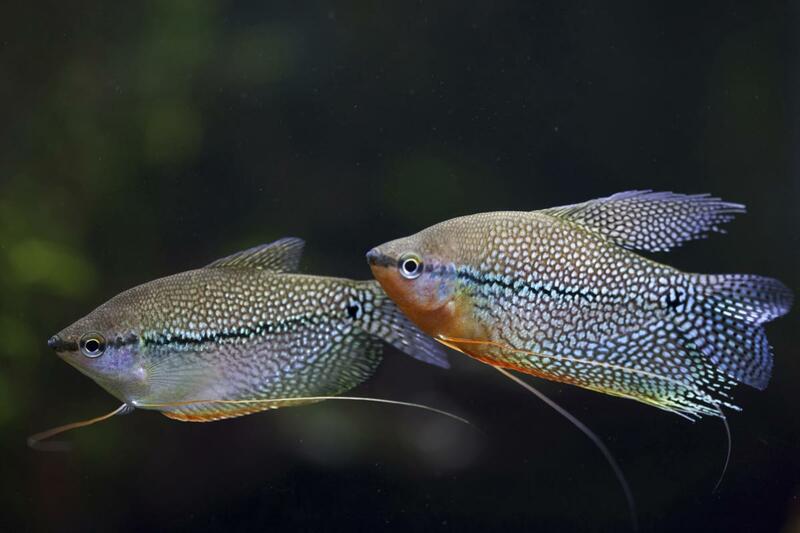 Gouramis are easy to keep in the aquarium as they are more tolerate to aquarium environment. The most important is they are also colourful – the important factor to make it as beautiful aquarium or ornamental fish. Gourami has thinner body if looking from above and broader from the side. They have smaller scales (some bigger size gouramis have bigger scales such as Giant gouramis; Osphronemus goramy) and they all make beautiful ornamental fish. Even though gouramis also popular as a food source in many areas where they can be found. Same as any other ornamental fishes, gourami also been breed to produce more varieties of colours. 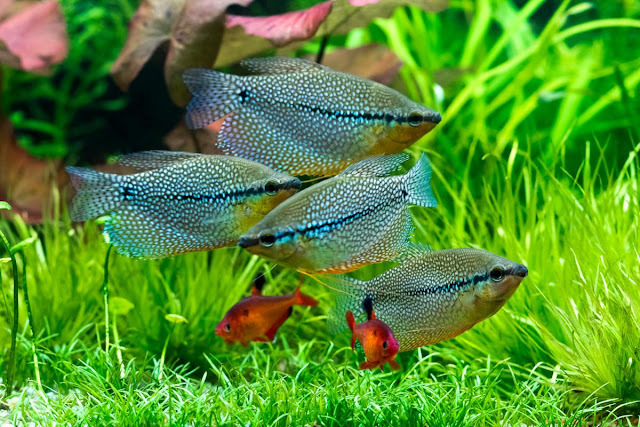 Here we want to see these varieties to know the possible colours you can get from gouramis. We hope to highlight more details about gourami in the future post. 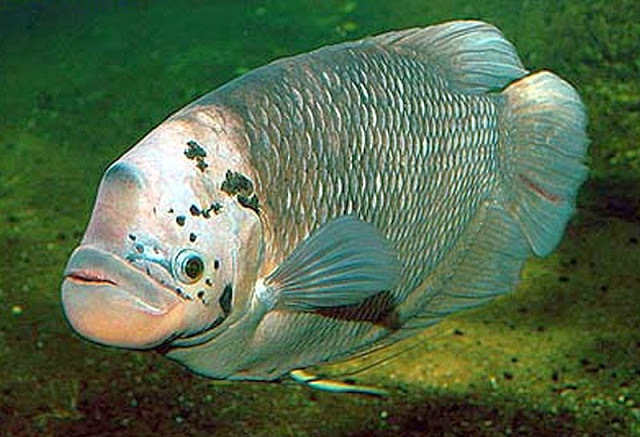 Giant gourami can achieve a very big size. 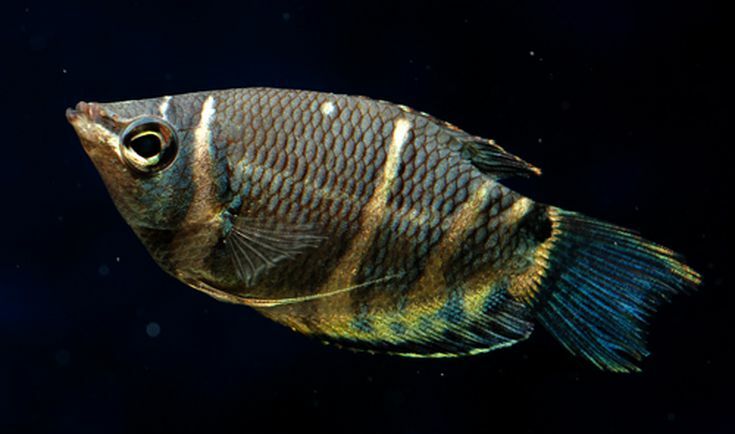 Chocolate gourami has unique colouration. 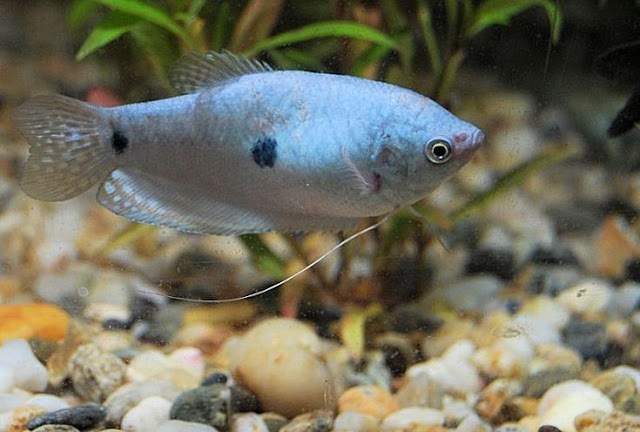 Dwarf gourami with blue scales. 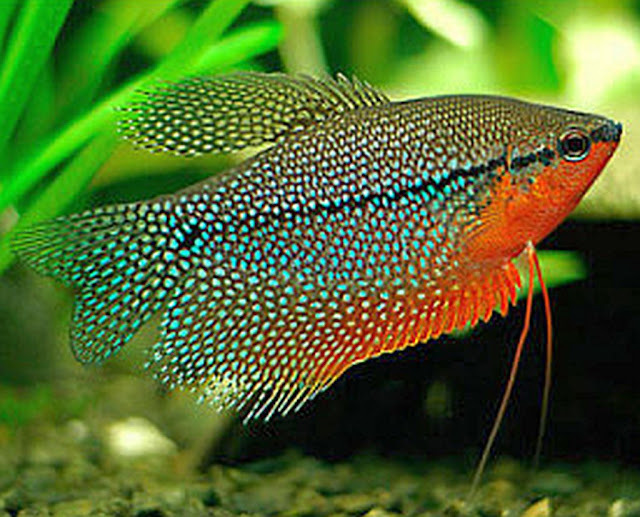 Pearl gourami with white spots and bright orange underneath it. Another types of gouramies with white spots on it. Kissing gourami has brighter colour. 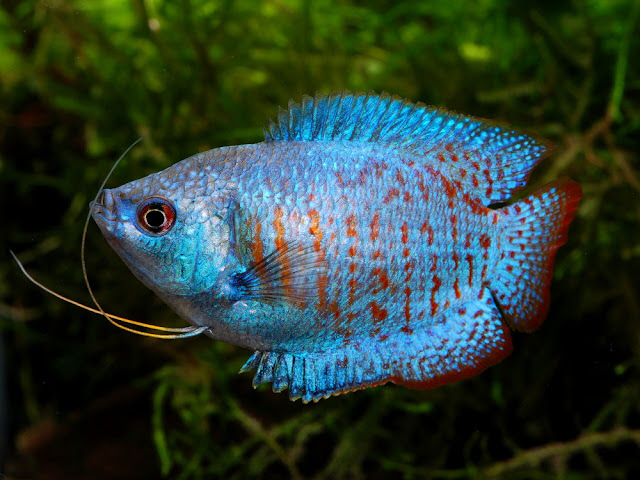 Typical colours of wild gourami.